Today, Overkill’s The Walking Dead launched on PC. 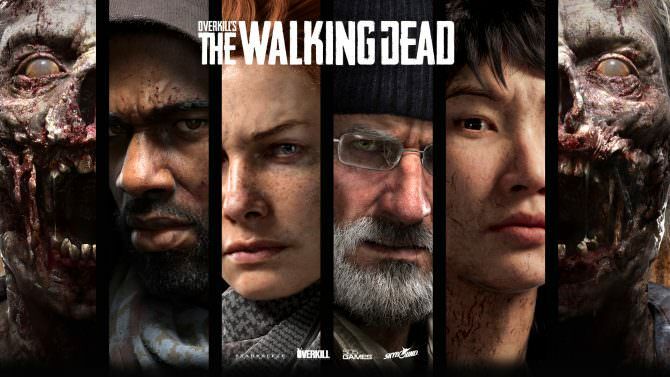 Giving players the chance to survive The Walking Dead apocalypse with a team of friends. Not only did a cinematic trailer drop but publisher Starbreeze has huge expectations for the title. Overkill’s The Walking Dead will feature seasonal content, a first for the company, with season 1 and 2 being offered with the standard edition. New episodes will launch throughout June 2019 and its likely more seasons will follow. “Overkill’s The Walking Dead is an important release for Starbreeze and is obviously our main focus right now. Our expectations are high and the game received good and valuable feedback from the media and our community during the important beta phase. The game’s business model is the one we invented and know inside out: games as a service. That means we are releasing a base game that we intend to serve with new content for a long time coming. Exactly like the cult-status TV show, we have made Overkill’s The Walking Dead as a seasonal model, in which each season consists of multiple episodes. Overkill’s The Walking Dead is now available for PC. It'll come to PS4 and Xbox One February 2019.